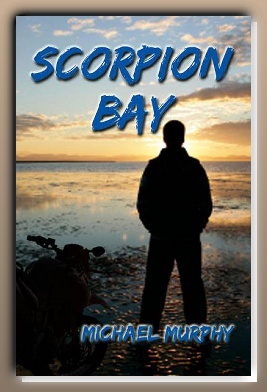 SCORPION BAY -- the book, was approrpiately launched at Scorpion Bay Marina (in Dillons Restaurant) earlier this year. The novel includes a high-tech Harley, a black disguise, and a crusading newscaster's quest for justice. Michael Murphy's seventh novel is available through Amazon or at www.mjmurphy.com.